In issues of taxonomy Stephen J. Gould states, in his essay “Bully for the Brontosaurus,” “the dispute is only about names, not about things.” Only, in this context, is a word that rankles some, especially poets for whom the language of a thing is of importance. 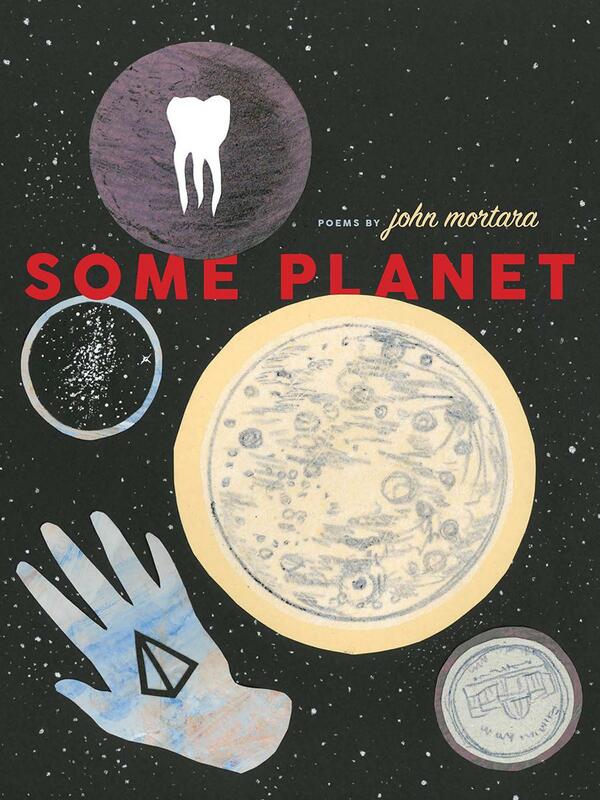 John Mortara makes a subtle case against the proper nouning of the natural world in Some Planet, a book whose title can be read ironically with an eye roll, as in some planet you got there. Or with the enthusiasm of a kid in the 50’s, gee whiz that’s some planet. The Emersonian epigraph, which reads in part, “Know then, that the world exists for you: build, therefore, your own world,” implies another reading: any planet is a personal planet—the natural world is a thing to be built on your own. Mortara’s stylistic choice of writing without capitol letters removes proper nounness but not thingness. Mortara imbues thingness onto the human body and human emotion onto things: the dripping kitchen sink that cannot help itself (in “your house becomes an angry mouth”) and the heart is “an unidentified failing object” (in “my heart is an alien spacecraft”). This is more than just anthropomorphism. Mortara’s poems are what Charles Olson, father of projective poetry, says poems must be: “high-energy constructs and, at all points, an energy discharge.” Through the use of second person imperatives, Mortara makes the reader complicit in the creation of a specific planet among all possible planets. In the first half of the book, Mortara’s open form utilizes a set of poetic possibilities. In its second half, these forms become entropic. The reader is asked to physically provide order and alterations. “gideon’s bible hotel poem” is mad lib poetry while “paper fortune teller” asks that the page be cut out. Mortara has previously incorporated paper craft and interactive elements in publications such as the choose-your-own-adventure Small Creature / Wide Field (tNY Press) and the self-published digital chapbook if you like me i like you too?